Earn up to 2,695 reward points. This 4x12 is armed with massive power handling and sturdy construction for the road. 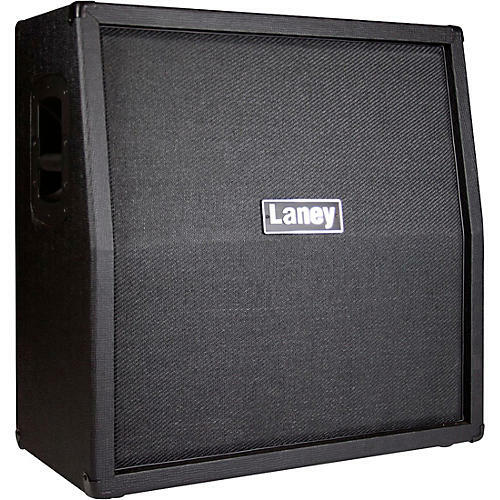 The Laney LV412A 4x12 speaker cab is loaded with a quartet of HH custom speakers, together rated at 280W. It offers 8-ohm mono and 4-ohm stereo operation for added versatility. The angled baffle provides improved projection. And the rugged plywood construction, side handles, reinforced corners and rubber feet ensure it'll withstand the rigors of the road.